Anna Piil Damm has been an Assistant Professor at the Department of Economics, Aarhus School of Business, since 2004. Her research focuses on geographical settlement pattern of immigrants and socioeconomic outcomes of immigrants. A major aim of her research is to evaluate whether immigrants’ residential choices constitute a barrier to upward social mobility of recent immigrants. Does living in ethnic enclaves damage labour market outcomes of recent immigrants? Does growing up in deprived neighbourhoods lead to more crime among immigrants (joint with Christian Dustmann)? Do lack of employed contacts and ethnic norms constitute a barrier to upward social mobility of immigrants (joint with Michael Rosholm)? Anna Piil Damm has also investigated location preferences of immigrants as well as the effects of spatial dispersal policy on refugees and asylum seekers on the geographical settlement pattern of refugees in the medium run and on their employment outcomes. Anna Piil Damm is native of Denmark where she received a master’s degree in Economics from the University of Aarhus in 2000. She received her Ph.D. in Economics from Aarhus School of Business in 2004. 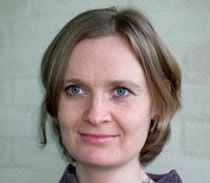 Anna Piil Damm was a visiting research assistant professor at CAM, University of Copenhagen, in 2004-2005. In 2006 she was a visiting researcher at CReAM, University College London, for 6 months. Anna Piil Damm joined CReAM as an external fellow in June 2006.